This is a Croton bush, also called Rushfoil, a popular shrub used in local Naples landscaping. This one does indeed have scale on it, a very common problem here in SWFL. 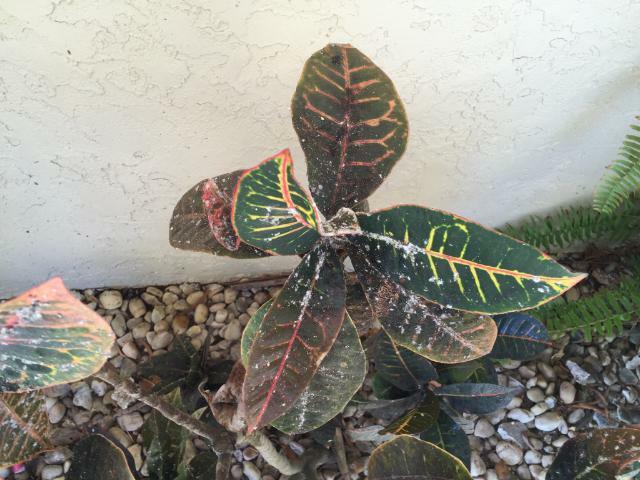 We can take care of this issue on your property very efficiently by using a systemic insecticide. We’re the the Southwest Florida shrub and bush care experts.